"Professional, Reliable & Affordable Disco & DJ"
Click Mobile Disco & DJ Services provides professional mobile disco & DJ packages for events such as wedding receptions, birthday parties, kids parties, corporate events, pub & club events, school discos & proms, theme nights, seasonal parties & public events. We use professional sound and lighting equipment to help bring you the very best in mobile entertainment. With years of experience, you can be assured all your music and entertainment needs are in safe hands. Our extensive music database consists of thousands of tracks, covering everything from the 1950s right through to the current chart and club hits, and everything in between! We're happy to accept playlists in advance and take requests from guests on the night. We know at many events there's likely going to be a diverse crowd, but rest assured we'll use our expertise to read the crowd and choose tracks to help draw your guests onto the dance floor in no time! We believe we are experts at playing to young, old and mixed audiences alike. All our disco packages come complete with a 3-metre truss lighting system, an up lit LED DJ booth and a 4-way active sound system to deliver a crisp and clear sound throughout. For a professional, reliable and affordable service look no further! Required by many venues, Click Mobile Disco & DJ Services has a current PLI policy with Mobile DJ Network in the amount of £10 million. Also required by many venues, Click Mobile Disco & DJ Services has supplied satisfactory evidence of holding current PAT inspections of their equipment dated within the last 12 months. A Method Statement, outlining Click Mobile Disco & DJ Services&apos; Health & Safety procedure for setting up disco equipment has not been supplied. Why do people choose to book Click Mobile Disco & DJ Services? His contact was swift, personable and professional. I liked his promises, assurances and experience. He continued to follow up with prompt and helpful responses. "Zach was fantastic from start to finish. We could not recommended him highly enough!" 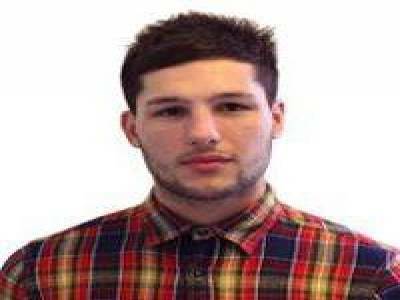 "Zac was fab, I couldn't recommend him enough! He was very professional, set up quickly and had a really impressive lighting rig and speakers. The music was perfect and he played all request too. A few guests commented on how good the DJ was and my friend has already booked him for her wedding next year. Will use again." "Thanks for taking the time to leave feedback, it really is invaluable! Glad you had a fab time and look forward to catching up at the wedding, take care, Zac"
Click Mobile Disco & DJ Services also offers a range of additional party services not directly linked to musical entertainment. 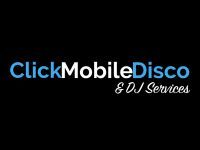 Get FREE no-obligation disco quotes from Click Mobile Disco & DJ Services and other DJs covering your venue. Take 2 minutes to fill in some basic details and we'll do the rest! If you are contacting Click Mobile Disco & DJ Services about an event, it's always a good idea to include the DATE, LOCATION, EVENT TYPE, AGE GROUP and TIMINGS to speed things up!